By the end of 2015, Holland Township could be home to an On The Border and Anna’s House. Greg Erne of Versa Developments, owners of the Westshore Mall, which is now being called the Shops at Westshore, announced there are leases with the nationally-known Mexican restaurant and the breakfast and lunch cafe. If construction goes well, both could be open by the end of the year. “They’ll add a little vibrancy to the center,” Erne said of the restaurants. 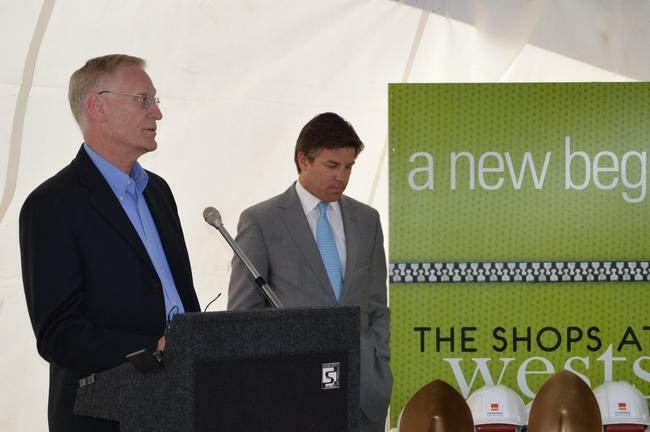 The announcement was made during the groundbreaking for the Shops at Westshore early today. On the Border has restaurants in Grandville and Grand Rapids as well. Anna’s House is based in Grand Rapids and this will be its fourth location. Versa Developments bought the failing mall in 2012 with the plans of redeveloping it, Erne said. Plans originally called for leaving it as an indoor mall. However market trends and regional competition led them to believe that plan would not be successful and it was replaced with the idea to “demall” the building.